Though the “big” fun we had this weekend had nothing to do with watching the big game, I hope all of you are having fun cheering for your favorite team – hopefully with a big crew of friends and lots of high calorie snacks. Our “big” fun this weekend was heading up to San Francisco (at the last minute) for the night. 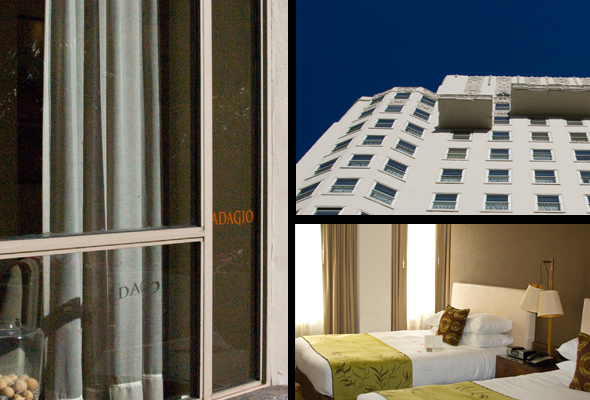 While I will be sharing more about the reason we suddenly headed there (hint, has to do with our friend Tim Flannery and some incredible live music), for now I just want to give you a glimpse at the wonderful boutique hotel we stayed at – The Adagio. It was a last minute, fun find that I will keep high on my list of SF options. 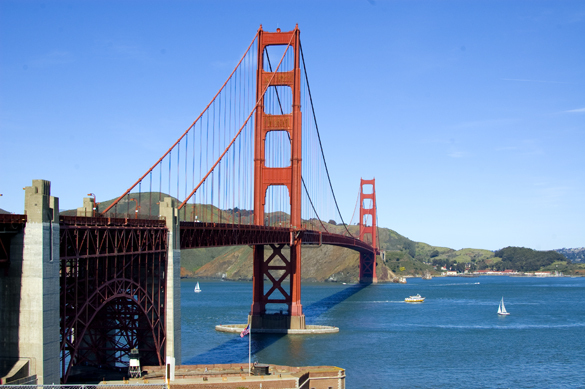 It felt very “San Franciscan” (which kinda made me feel cool – a bonus perk that I don’t achieve very often). 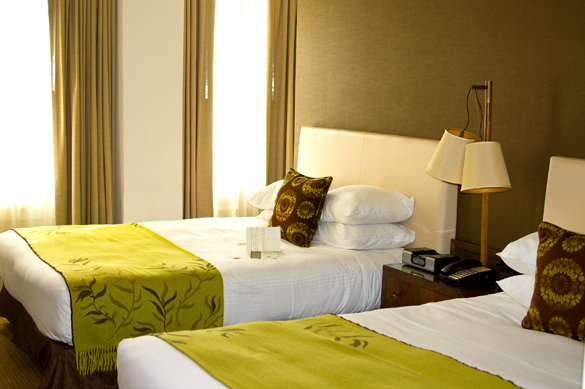 It had a great location (near the theatre district and Union Square), spacious rooms and super comfortable beds. The interior was decorated simply and elegantly. 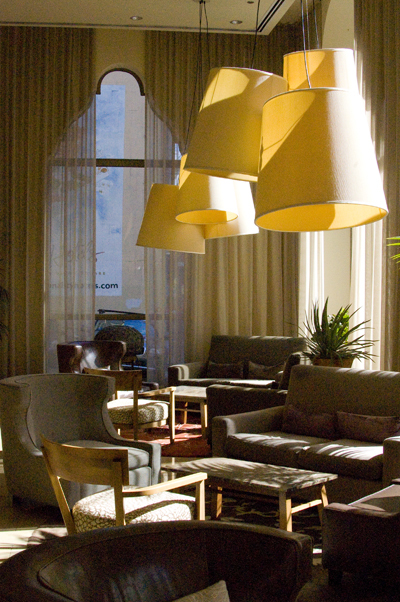 I loved the afternoon lighting in the lobby. 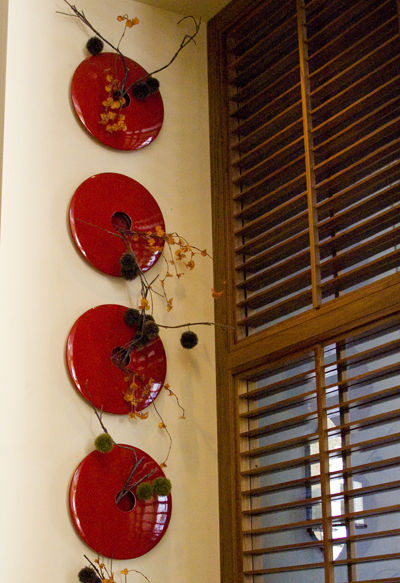 The hotel was decorated with many “asian influenced” designs. See this “water” station in the lobby? What’s not to like about fresh, cold, cucumber/lemon water available to quench your thirst after an afternoon trek through Union Square shops? 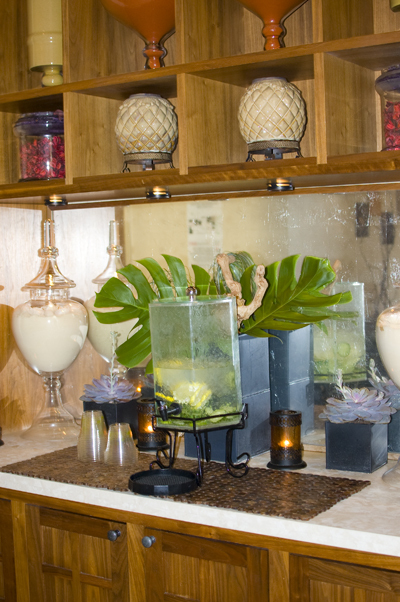 Oh, and see those candles by the water cooler? Whatever scent they were, they smelled DELICIOUS -I really should call them to ask what they were. Our bedroom was decorated in one of my current favorite color combinations – lime green and brown (which I used in my original Lita’s World logo). A big perk of our weekend in the city (and I hate to rub this in to those of you living in the thick of an extremely snowy winter) was that winter in San Francisco is the most incredible time to visit. The sun is shining, the sky is blue, the air is clear and the temperature is in the 70s. Sorry, you all couldn’t be there – maybe next time?! Wherever you are (and whatever team you’re routing for), I do hope your weekend is fabulous, and I’d love to hear about it! Oh! That looks really cool! Wish I was there!! I wish you were there too!! We had a blast…a nice little getaway..of course, now I feel behind on EVERYTHING!! where the heck is the balance?? ?